Last week we went on a trip to goa. 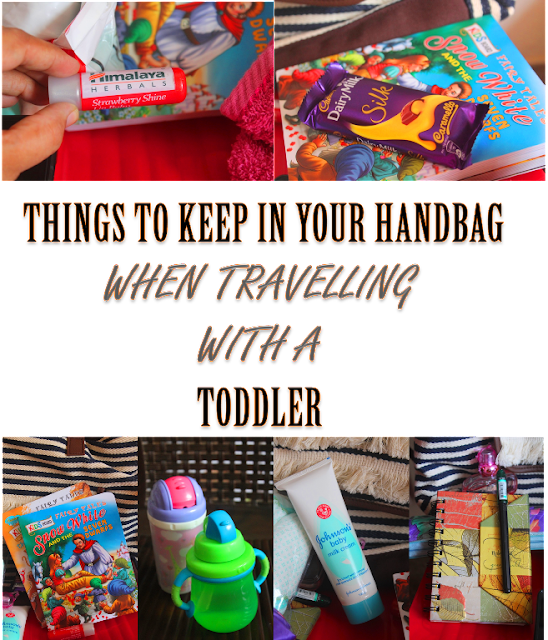 You know that travelling with a toddler can be a pain when you don't pack certain stuffs. So i thought of sharing a post and show what all i packed in my handbag. These are the stuffs which i normally pack, along with these i have some snacks like biscuits or any cut up fruits as well. In my handbag I also have crocin for myself, and strepsils. 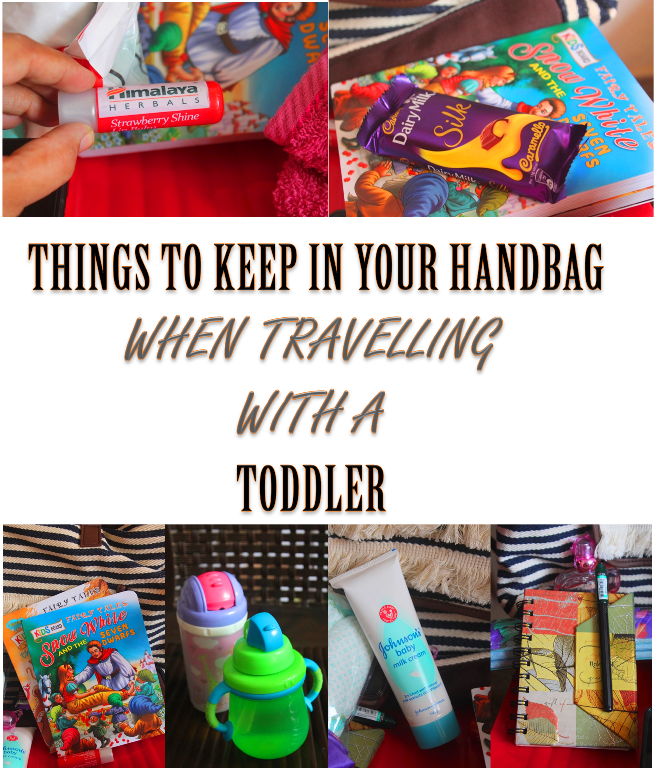 Quiet an exhaustive list I must say, I also travel quiet offen with my 2 year old son and generally keep all these items in my hand bag along with an extra pair of cloth for my son.